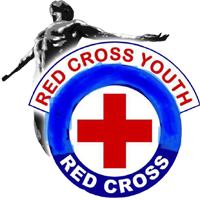 The Red Cross Society is a worldwide, well known, universally accepted, admired and internationally identified humanitarian service organisation. It is the biggest, independent non-religious, non-political, non-sectarian and voluntary relief organisation treating people equally all over the world without any discrimination as to their nationality race and religious beliefs. It was established in 1863 in Geneva, Switzerland. The Father of Red Cross movement and recipient of noble award for peace in 1901 was “Jean Henry Dunant”, who was a successful businessman. While going on a business mission, Dunant came on 24th June 1859 to Castiglione. It was on the same day, the battle of Solferino was fought nearby between French and Austrian armies. Dunant was horrified and moved by the sight and plight of the wounded soldiers. On witnessing the pathetic scene he forgot his business and started relief operations to all the wounded soldiers with the help of people in nearby villages. In 1862 Dunant wrote a book “A memory of Solferino”which paved the way for the first Geneva Conference in 26th October 1863. The Geneva Society for Public Welfare considered Dunant’s proposals which were mentioned in his book and convened a multinational conference for implementing them. Formation of trained medical relief team in every country in peace time to be employed in the relief work for wounded soldiers in the battle field. Framing of rules to alleviate the suffering of war victims and to have international treaty among the nations. Once agreed upon and satisfied this might assure humane care for wounded.